A while back, Larry over at OF Blog of the Fallen posted this list of fives. I’ve decided to turn each into its own post on my blog, with one modification: all of them will be specific to science fiction and fantasy. Hopefully nobody will have a problem with this change. One of the things that I love about Elizabeth Bear is her willingness to challenge the conventions of the genre. Her stories deal with issues of sexuality and gender in unique and intriguing ways, particularly Dust and Carnival, two of my favorite works by her (I like Dust best). I love traditional stories as much as the next guy, but I also love to see different kinds of characters put on the center stage, whether they’re gay, transgender, or somehow “non-normative” (for lack of a better term). I also appreciate that Bear does not write stereotypical takes on such characters. Not every novel with gay people in it is erotica, folks! Seriously! 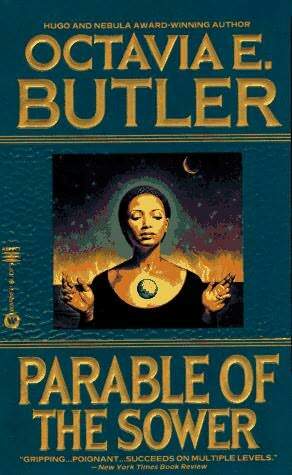 I read Butler’s “Speech Sounds” and Parable of the Sowers in an African American science fiction class at UC Santa Cruz (where I got my B.A.). We might have also read another of her short stories, but I can’t remember. In any case, that class changed everything for me. It showed me that I could pursue my interest in Science Fiction Studies without fearing that I might get shunned by the academic community and it exposed me to Octavia Butler, who still influences me as a writer and academic today. If you haven’t read Butler’s work, you must do so immediately. She is one of the greatest science fiction writers to walk the face of the Earth! Hopkinson is, like Butler, one of the most important writers of the 21st century, and certainly one of the most important female writers of SF/F. 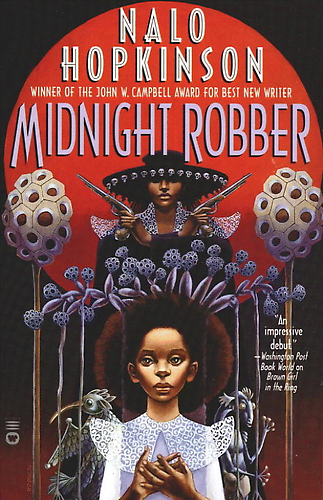 Her Caribbean-infused novels (such as Brown Girl in the Ring and Midnight Robber) are prime examples of the breadth of the speculative fiction genre. 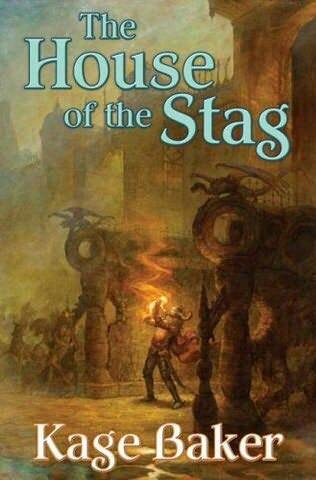 Not only can SF/F be about grand adventures in space or fantasy lands, but it can also about intense forays into culture, colonialism and its lingering effects, and the postmodern human condition. It’s little surprise that she is one of the two authors I focused on for my M.A. thesis (the other was Tobias S. Buckell, but he’s a boy, so he’s not a part of this list)(P.S. : the degree should arrive on my doorstep sooner or later). All I hope is that she keeps writing and influencing the genre, showing the world that SF/F does not have to deal with traditional western curiosities, but can stretch outward to talk about the world at large. Pfeffer may be somewhat new to the genre world, but her YA post-apocalypse novels are some of the best YA fiction out there. They’re emotional character journeys told in epistolary format where children have to cope with situations that force them to grow up fast, because the childlike world they once took for granted no longer exists. I’ve loved every single one, and word is that there might be a fourth in the series, which should tie up some loose ends and explain what happens to the two families (maybe). 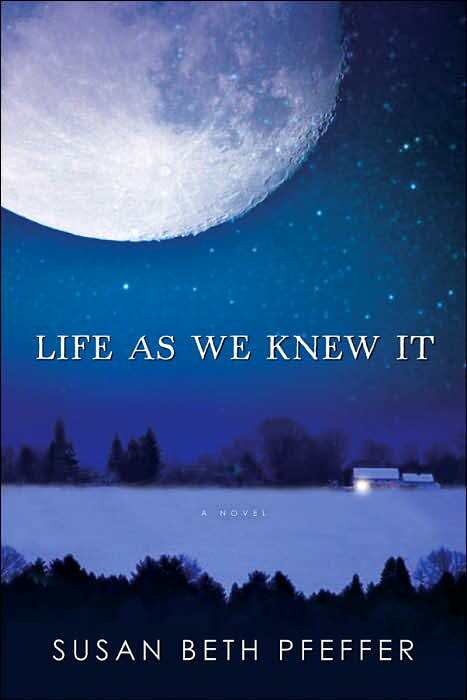 As an indicator of how much I love Pfeffer’s work, I’ve reviewed all three of her science fiction novels (Life As We Knew It, The Dead and the Gone, and This World We Live In) and interviewed her three times (here, here, and here — notice how I get better at that whole interviewing thing each time). Runners up: Lauren Beukes (review: Zoo City; interview here), Karen Miller (reviews: The Innocent Mage and The Awakened Mage; interview here) and Jo Walton (reviews: Farthing and Ha’Penny). I love the work of all three of these authors, but I have to pick five. It’s hard to make these three Runners Up, but it has to be done. Who are your favorite female authors of science fiction and fantasy? Let me know in the comments! I’m always hungry for more writers to read! Jordan: I like Le Guin, but she's not my favorite. Some of her books didn't do anything for me. The Dispossessed, as I mention above, is a fine piece of science fiction, though. AstonWest: Oh, a fan of indie authors are you? 😛 Never heard of them. I'll have to look them up. Honestly, I've only read a few things by Willis. She's good, but I haven't read enough of her work to add her to my list. And of course I can have a title like that and omit people who win awards. Not everyone who gets awards deserves them. See Kij Johnson, who is simply awful.